Every coach would like their players to perform better in the clutch. One of the things we must first recognize that performing in pressure situation is a skill that can be practiced. You can coach your players to be better in the big moments. 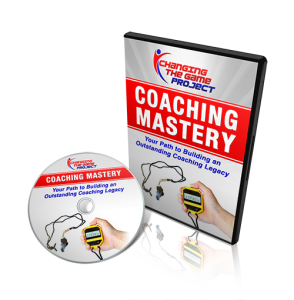 In the video below, Renowned sport performance expert Chris Stankovich reveals proven techniques and strategies to help players stay tough and deliver in the clutch. The clip below deals with arousal regulation (helping players stay calm in stressful situations). 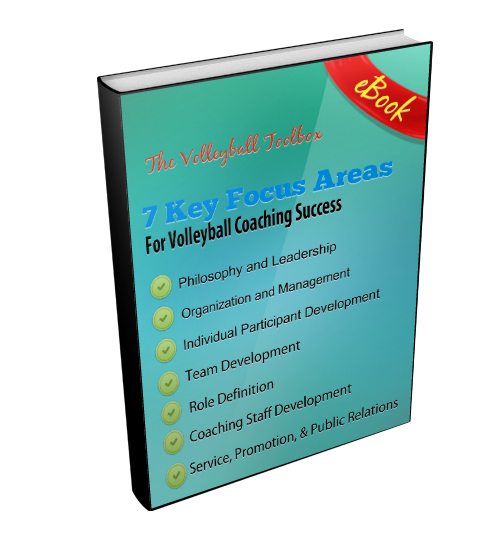 For more ideas about how to help your athletes perform in clutch moments click the link Winning the Mental Moments: Developing Team Toughness in the Clutch! Is your child a great practice player, but one who struggles to perform in games? Does she score at will in easy games, but cannot the competitive ones? Does your team play great in meaningless games, but tense up and play poorly when the result matters? Does your team always play great until they build a lead, and then sit back and let the other team back into the game? If any of these sound familiar, then you are likely dealing with athletes who at times play to win, and at other times play not to lose. The effect upon performance of these two mindsets can be a massive one. Jordet and Hartman found that in the first scenario, when missing the kick would cause the team to lose, professional players only converted 62% of those shots. However, when conversion would result in a win, kickers were successful 92% of the time! Same kick, same distance, same target, but a 30% improvement when the player was shooting to win, and not shooting NOT to lose. Other studies have found similar results in basketball, where players will consistently shoot above their career free throw percentage when the game is tied, but below it when they are a point up or a point down. The point is that when athletes are challenged to rise to the occasion, they perform better then when they are threatened to not blow it. Challenged athletes tend to focus on the prize for success, while threatened athletes focus on the consequences of failure. Neuroscience tells us that these two different reactions to the same situation cause vastly different responses in our brains, and thus the results we see above. As parents and coaches, in order to combat this the secret then is to change the situation for our athletes from a threatening one to a challenging one. Researchers Adam Altar and Joshua Aronson administered a test to Princeton undergrads, whereby they present half the group with a test of their ability – a threat – and half of them with a “Intellectual Challenge Questionnaire” where nobody was expected to solve all the problems. The result: threatened students got 72% correct, and challenged undergrads scored an average of 90% correct! Next time your athletes take the field, ask yourself “Have I framed today’s competition as a challenge to be aspired to, or a threatening test where the consequences of failure are grave.” As coaches and parents, we have to asses every specific situation and frame it appropriately as a challenge. When we do, my guess is that your athletes will perform much better! If you would like, please share with me any situations where you have successfully challenged your athletes versus threatened them, and how they have played as a result. Are our emotions something that help us when it comes to sport, or do they hold us back? The answer? Both. Learning how to balance and control your emotions is what matters. 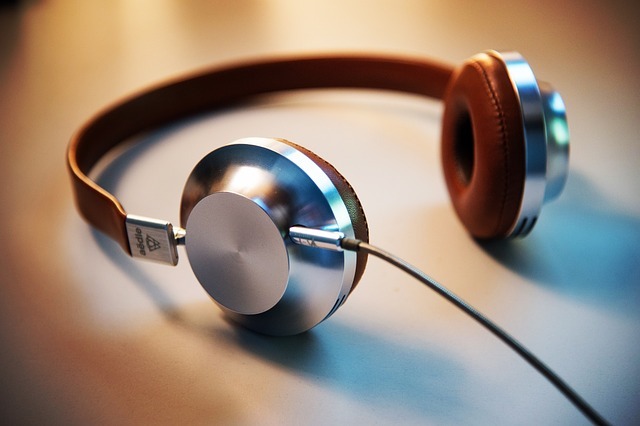 In our first part of this two part series, we covered five strategies to help regulate emotion ranging from facing your fears head on, to listening to inspiring music to get you in the zone. 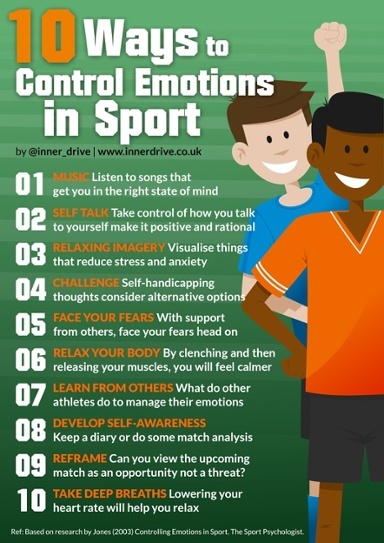 This was based on research by Professor Marc Jones at Staffordshire University on how athletes can better manage their emotions when competing. In this second part, we cover tips 6-10. Relax Your Body: Try tensing your muscles for a few seconds and then consciously relaxing them to feel a sense of calm, physically as well as mentally. Research shows that this leads to a reduced heart rate, lesser feelings of physical exhaustion, and diminished anxiety. Learn From Others: Try to emulate athletes that deal with emotionally difficult situations well; this is an effective strategy to manage anger and stress. For instance it has been shown that Role-playing exercisesoff pitch reduce angry behavior on pitch. The ability to learn from others is a hallmark of developing a growth mindset and a very important life skill. Develop Self-Awareness: Keep a journal or review film of situations where strong emotions arise during play and how you dealt with them. This allows you to identify which emotions are healthy, competitive ones for you and which are not. This is important to know so that you can get the best from your emotional state. Keeping a diary to improve self-awareness is a simple and effective way to improve metacognition. This can be incredibly effective when combined with challenging self-handicapping thoughts (check out part one of this blog), as your newfound awareness can help you identify which thoughts and emotions need challenging. Reframe The more important you believe the situation to be, the more likely you are to have a strong emotional response to it. Research suggest that reminding yourself that “it’s just another match” can help reduce the noise and intensity that emotions can bring. Reframing our ideas of failure and success can also be effective. In the earlier mentioned research by Professor Jones, he details an example where a Premier League striker was struggling to score goals, and feeling down because of it. Helping him reframe his definition of success to include all the other things he was doing well helped raise his spirits and find his goal scoring form again. Take Deep Breaths: Much like muscle relaxation, focusing on taking deep slow breaths can be an important factor in regulating emotion. These breaths increase feelings of relief and lead to lower physical symptoms of negative emotions such as muscle tension. It also provides a sense of control of the situations, slows things time and gives you space to consider how best to proceed. Final Thought: Every athlete no matter their level needs to learn how to balance their emotions. There is no perfect formula. What works well for someone else is no guarantee that it will work well for you. Using some of the techniques described in both parts of this blog series will provide a strong platform to explore what works best for you.